Robert J. Kleinberg, Landscape Design & Construction has been designing Patios and Gardens as a Landscape and Hardscaping contractor since 1986. 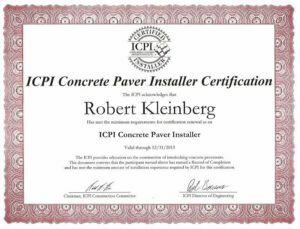 Working in Philadelphia, Delaware County ( Newtown Square, Havertown, Marple, Broomall, Drexel Hill, Lansdowne, Springfield, Swarthmore, Ridley, Media, Upper Darby, Middletown, Radnor, Lima ), Chester County ( Edgemont, Paoli, Goshen, Tredyffrin, Westtown, Willistown, Berwyn, Malvern, West Chester ), Montgomery County and the Main Line ( Lower Merion, Bala Cynwyd, Ardmore, Narberth, Bryn Mawr, Villanova, Wayne, Devon, Gladwyne, Wynnewood ) PA. I offer a large selection of services including Patios, Walks ( Walkways ), Steps, Landings, and Walls made of Flagstone & Bluestone, E.P. 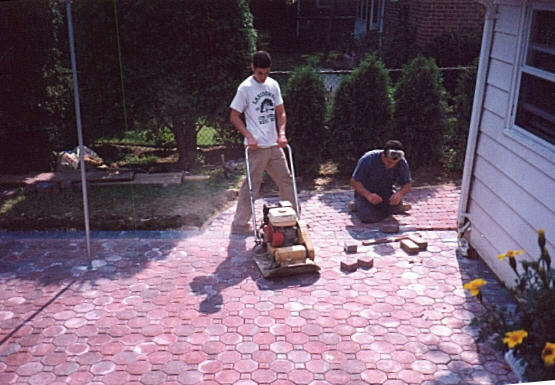 Henry and other brands of interlocking concrete pavers, Brick, and Ties. In the last few years, I have put more of an emphasis on Low voltage landscape lighting, small ponds and water Features. I also offer Landscape Design and Installation, mostly Residential or smaller Commercial jobs; new plantings, or renovations of old landscapes. 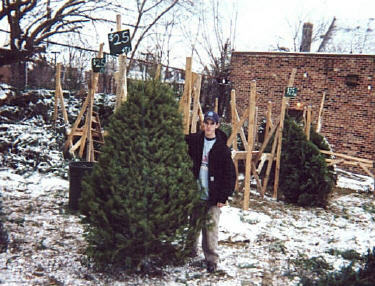 I install trees, shrubs, seasonal plantings of annuals and perennials from a small backyard to small commercial plantings, but we specialize in jobs that fit what I can do. I know my limits; some jobs are too big, and some jobs are too small. 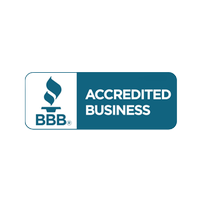 All of the services below are designed around our goal to help make your yard a joy to come home to. Plantings to help bring color and beauty to your yard most months of the year. Night lighting for safety and to highlight some of the best views of your property at night. Ponds waterfalls, fountains, and other water features to give you a reason to go outside. 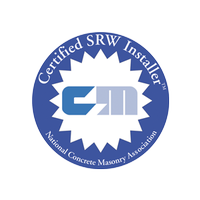 Construction of smaller patios and walks to help you enjoy your yard. Construction of smaller walls for beauty and utility – to make your yard more usable, and give you better drainage. 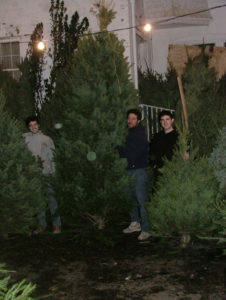 Bob Kleinberg is a Horticulturist with degrees from The University of Delaware and Villanova University. In 1981 I started working with Thomas McClintock Landscape Design & Engineering. This included landscape construction with landscape design, tree transplanting, brick and flagstone patios and walks, and masonry and tile walls. It also involved some landscape bed and shrub maintenance with customers including Presbyterian Hospital in Philadelphia and the Philadelphia Spectrum. In 1984 I entered into a partnership with Mr. McClintock in McClintock & Kleinberg Landscaping Design & Engineering which lasted 2 years. 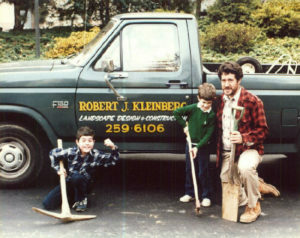 In 1986 Bob Kleinberg (shown here with sons Chris & Mike) started Robert J. Kleinberg Landscape Design & Construction. 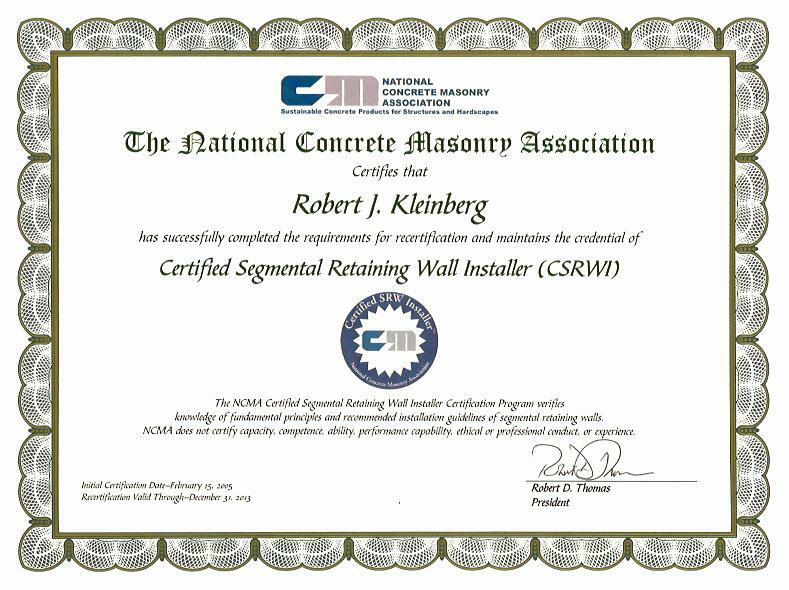 I continued in landscape construction with landscape design, tree transplanting, brick and flagstone patios and walks, and masonry and tile walls. 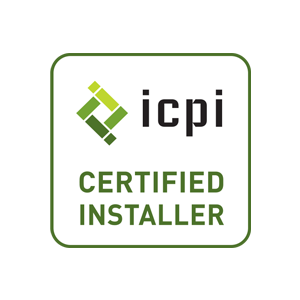 I also entered into a bed maintenance contract with Presbyterian Hospital and was involved in many landscape design and construction projects around new construction at the hospital. Many pictures from the hospital can be seen on our Landscaping Page. In 1993 we started to construct E.P. Henry patios, walks and walls in addition to brick and flagstone. 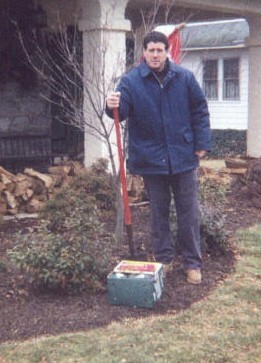 In 1996 Presbyterian Hospital merged with The University Of Pennsylvania Hospital and I stopped our maintenance and construction at the Hospital and switched the main emphasis of my company from landscaping to patio and walk construction, while still continuing to offer landscape design and installation services. Over the last few years, I am again changing my emphasis – away from hardscaping – to low voltage landscape lighting, as well as small pond and water feature construction, and back to landscape planting – back to where I first started. There are over 50 pages on my site where you can view over 1,000 photos of the many phases of my services. Click on the links at the top of this page for more information and to see photos of what we can do for your property. I like to say your yard should be a joy to come home to, and my goal is to make your yard a joy for you to come home to. 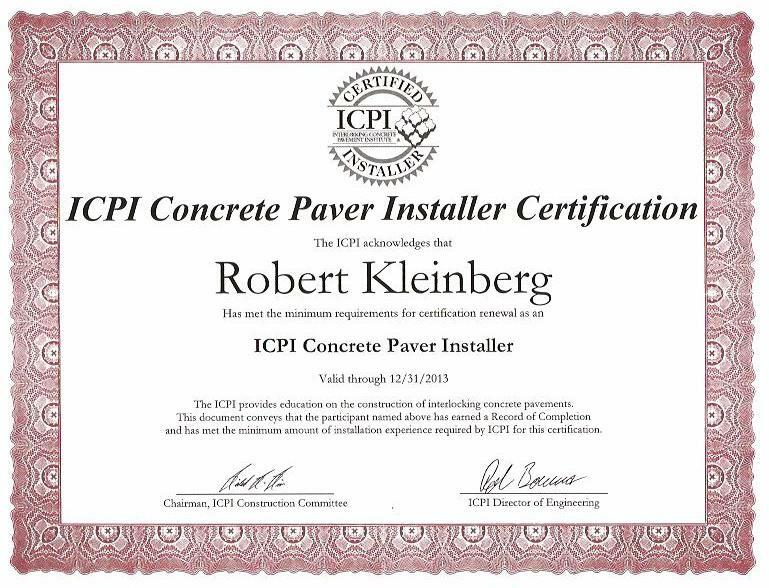 Bob Kleinberg is an ICPI Certified Concrete Paver Installer. 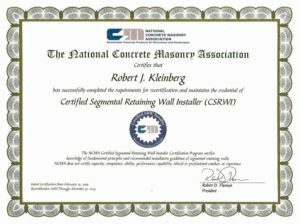 and a NCMA Certified Segmental Retaining Wall Installer. 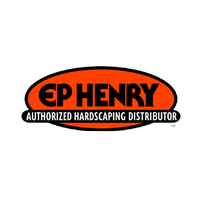 I am also an EP Henry Authorized Hardscaping Contractor, and am fully insured, licensed with the state of Pennsylvania (PA HIC License #: PA29966), and a BBB Accredited Business. (Bob working with son Chris – Now Doctor Chris Kleinberg). Usually my company works with myself and one other worker, so I am involved in all facets of the job. For larger jobs I can subcontract out other contractors if need be, but I still supervise the job. I typically work one job at a time and don’t move on to the next job until the present job is completed. I work year round (weather permitting) with December devoted to Christmas Tree sales.